In most of the cities where Google Fiber exists (or is in the process of being built out), the company is starting from nothing — digging trenches, running new fiberoptic cable — but Google announced today that when it launches Fiber service in Huntsville, AL, it will be doing so over Rocket City’s municipal fiber network. Huntsville, home to NASA’s Marshall Space Flight Center, announced in two years ago that it would be bringing fiberoptic service to the city, before ultimately deciding to build the network itself and lease it out to third parties. While Google is the first partner announced, the company says that other broadband providers will be also be able to sell access to the Huntsville muni network. In short, the city will own the network. Google will operate the lines that connect homes to that network. 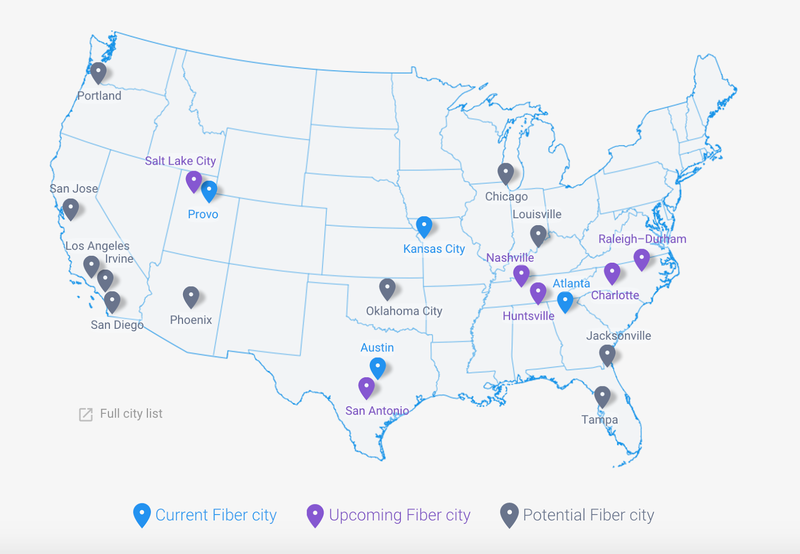 In Provo, UT, one of the first cities to get Fiber, Google purchased the city-built network, and in Atlanta, the company will use some city-operated lines to connect certain buildings. Google says this is the first time that it will use a city-owned network for Fiber service. If successful, this model could be replicated by Google or others to help bring service to other parts of the country where a city or county owns a fiberoptic service but is barred by state law from selling directly to consumers. Fiber is expected to launch in Huntsville in mid-2017. The service is currently available in Provo, Kansas City, Austin, and Atlanta, with networks under construction in Nashville, Charlotte, Raleigh-Durham, Salt Lake City, and San Antonio.